We live in a knowledge economy. Data is the new oil, and digital technology is the key to unlocking it's value. By effectively harnessing our collective intelligence we have the power not only to make much better decisions together, but also to bring together the resources we need to implement those decisions for our common good. Think.coop was born as a result of bringing ground-breaking collective intelligence technology together with cooperative values and principles and a shared passion to break out of the tired and failing competitive mindset that is driving us ever closer to economic, environmental and societal collapse. 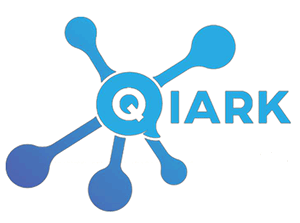 Over the last few years, ImpactRI has been quietly and carefully developing the QIARK system, to the point where it is now fully tested and ready to be put to work. As a powerful tool for collective intelligence – crowdsourcing innovation, delivering clear answers to complex problems, predicting outcomes – QIARK is elegant and simple in its design, able to deliver results very quickly. What's most valuable about the system is that it relies on the power of the minds of everybody who participates, with no shadowy algorithms, bots or AI whirring away in the background. The potential for this new technology is significant. Already ImpactRI is seeing huge interest from corporates, governments, civil society organisations, and academia, all keen to apply the technology to a wide range of issues, from market research for product development, through innovation, to solving some of the most complex and intractable problems facing us as a species today. Clearly QIARK has a bright future ahead. Think.coop exists to provide a platform where everyone can participate and share in the value that QIARK enables. We're currently in process of establishing think.coop as a registered co-operative society in the UK, and developing our roadmap. Subscribe to our mailing list to stay informed and receive an invitation to join think.coop as soon as membership becomes available.